Are the Nespresso capsules safe? They are made from aluminum with a food grade shellac coating, not sure if that is safe when hot water forces through it. Any plastic leaching issues? As far as I know, there is nothing to worry about with the Nespresso capsules. Going on what the manufacturer tells us, the water and coffee comes into contact only with the shellac. This is more than can be said for the various single-serve cups and discs used with other systems, which all appear to use plastics of some kind. But wait, you’re not out of the woods yet! While the capsules used by Nespresso may not be made of plastic, parts within the brewer itself almost certainly are. To be fair, while I have used a friend’s Nespresso machine, I don’t have one of my own. But I’m guess that the guts of the machine contain plastics which come into contact with the hot water. I know that with other brewers -including drip brewers and at least two single-serve systems - the first few cups of coffee you brew have an awful plastic taste. 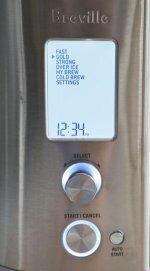 With one brewing system I have, I had to run hot water and vinegar through the system 20 times before I got rid of that taste. Of course, just because I had flushed out the taste didn’t mean that I wasn’t still ingesting lower levels of chemicals which continued to leach from the brewer. 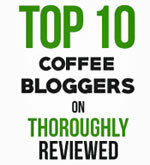 There are two ways of dealing with the issues of toxic plastics in coffee makers. One is to bury your head in the sand and just hope the ill-effects are not that serious. The second is to seek out more simple brewing systems that contain no plastic. Comments for Are Nespresso capsules safe? Does nespresso impact heart rate? There are many publications in scientific journal starting that aluminum is bad for health. I encourage all of you to just read one of those. Antiperspirants have aluminum. If drinking from aluminum is so bad, are we not drinking from aluminum soda and beer cans? How about plastic straws? So dissappointed in the last batch of Livanto coffee capsules bought recently. No coffee aroma, bad taste, lackng in real coffee flavour. Anyon else find them not worth the money? Back in February 2017 someone posted that they sent coffee drawn from Nespresso pods to a lab to be tested for aluminum, but I never saw a post with the results... would be very interested to see the results or find out a lab to send some to myself! I’m using Nespresso coffee for several years and had no problems at all, only thing that I’m worrying if the capsules are safe, because it made by aluminum! I purchased a Nespresso after years of wanting one. I was very excited and made my first cup on my lunch break yesterday. Headed back to work and noticed a slight headache after a few sips of coffee. I figured I needed more coffee so I chugged a bit of my nespresso. By the time I got to work, I had a full-blown severe migraine type headache. At first I thought it was coincidence but on a lark googled "headache from nespresso coffee" and came across this thread, as well as several similar ones. I still have a moderate headache today and am afraid to try another cup. Did anyone in this thread ever figure out if there was truly a problem with nespresso coffee? I am thinking of purchasing the re-usable pods (available on amazon) but also thinking I may just send the machine back. I would love to know if it is the pods, the coffee, or the machine that may be causing people to have headaches. I drink coffee daily and have never had a headache that coincided with my coffee intake (quite the opposite, as a matter of fact). Each time I drink the coffee from nespresso I get headaches. Not a usual headache that goes away with a couple pain relievers but a serious headache like a migraine. 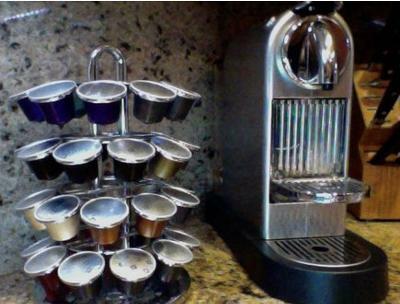 Not sure what is in the nespresso coffee pods or if it has to do with the aluminum pods. I have had to discontinue using my Nespresso machine and I am back to regular espresso and coffee without the headaches. I had a Nespresso machine for over five years. I also had stomach problems after drinking the coffee, but I love the coffee! I also thought it was the coffee, but when I started brewing my own coffee the problem stopped! Later I started using my Nespresso machine again and the problem was there again. I stopped drinking my Nespresso later in the afternoon, but every night I had to take antacids to calm down my stomach.Now back to my own filter brew and no problems , so it looks as if I better give up my Nespresso and use my Melitta filter and a regular coffee. I just ordered another batch of Virtuoline capsules; they make you buy 50 dollars worth at a time which doesn't make me happy, but that's another story. I'd have to guess that some of it is coffee, and the rest not-coffee. I'd really like to know, however. Aluminium is definitely a health hazard. Your body has difficulty in eliminating it and it causes your body to block absorption of magnesium and silica. It may not show up high in a blood test test but over time it will show up on an Oligoscan which shows stored levels in the tissues. You will most likely get more aluminium from tap water than a coffee pod. I suggest you only use fiiltered water to consume at all times. I am a big coffee drinker. I purchased a Nespresso machine a few years ago and than started allergies problems. Just as dust allergies but worst. At the same time, I acquired a dog, started playing saxophone so I figured that I asking too much to my sinuses but after many medical test, there is it, NO ALLERGIES to environmental factor but maybe to coffee. I think I will ditch the Nespresso machine and go back to a tradtional brass boiler, manual machine. We've been using Nespresso for 8 years and I've noticed some issues only recently with it which has me sending the pods and a sample to the lab to find out if its leaching aluminum into the coffee. I am not even testing against plastics leaching just heavy metals for now. If it comes up positive I am definitely not going to be happy and will make stink. I found out from numerous labs that test food products for heavy metals and aluminum is NOT one that is required to be tested against so how are we so sure that Nespresso is being ethical in this process? I just did a blood test and very high amounts of aluminum is in my blood. We were trying to figure out where it came from, and i'm thinking my coffee pods. Other than that, I eat all organic. I will investigate further. Isn't anyone curious what the food grade shellac is made of? Every time I've tried to drink it I get sick to my stomach. I have now discovered that at least 4 of my friends have the same problem bro other coffee does this to me. If you are concerned with aluminum induced alzheimers, there are a few really healthy foods which you probly should be eating, if not just for their heavy metal chelating('detoxing') abilities. Corrinder seems to be able to bind and remove aluminum. Tumeric,fulvic acid, NAC can all remove heavy metals, including mercuary lead, and the semi metal asernic, i havnt seen any studies about the last 3 regarding aluminum, but im sure they could chelate Al! ...Don't knwo what it is but It happens when I drink this also :(. the nespresso capsule spins at 7000 RPM's and this is what causes the cream on top. It's a simple matter of airation, not a chemical foaming agent. When my wife and I travel, and have to use Starbucks or other providers for our morning coffee, we can't wait to get back home to our Nespresso machines. 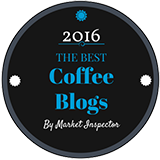 We've been using various incarnations of Nespresso since it first went on the market. Bought our first one after a demonstration at Macy's about 12 years ago or so. Delightful coffee -- some of these comments are just really weird about aluminum causing a problem. These are as safe as can be, and a very high quality European produced product. I would urge you to try it first. It's not a technology or machine for the "coffee by the quart" drinker, because the capsules (go with the original, and not the rip-off "VirtuLine" style) will produce at the most a 6 oz to 8 oz beverage. But wow, does it taste good. Very European in flavor. Enjoy! With my last order of Nespresso capsules I requested "recycling" pouches for the capsules - you deposit all the used capsules into the metallicized bag, and when it's full you send it to some recycling facility using the provided UPS label. I've been doing this for about five weeks, and this morning I went to seal the bag up and send it off. When I looked inside, all the capsules were covered with some white, soapy looking growth, much of which had already turned quite solid making the capsules into one big hard lump. Didn't smell, but didn't look like any natural mold I had ever seen, and was extremely strange. Thought I would pass this along in case anyone else had experienced this, or knew what it is. Is it something in the capsules besides coffee? Thanks. people drink out of aluminium all the time never been a problem. The foam created by the Nespresso machine is from the high spin velocity. That's all. You can get the same effect with milk by pressing or pumping milk thru a French press.35 or 30 pumps will cause the milk to froth. Of course you need a high quality machine to do that with coffee. Enjoy it. It's wonerful coffee. I like my machine! A good friend of mine told me yesterday that her clients wife was very ill and taken to hospital, her blood test came back with very high levels of aluminium, the Dr actually asked her "are you using one of those pod coffee machines" and she is, the Dr told her he has seen this in a few people using Nespresso or other pod coffee systems, not good! Are capsules safe after sitting in heat? I ordered some Nespresso capsules through Amazon and they were delivered improperly. They through them over gate onto walkway instead of bringing to front door as BIG sign in driveway directs. It was 105 degrees that day and I don't even know how long they sat outside before I found them. I am reluctant to use, especially as my husband has a very fragile immune system. Too late to return, but maybe should just toss them out? I had to stop drinking coffee made from Nespresso capsules. I don't know what's inside the capsules beside coffee. The fact is that every time I drink coffee made from Nespresso capsules, I get stomac pain, Terrible headache that no acetaminofen can take it away. I stop drinking this coffe for few days and then drink it again with the same problems ! I don't know what the hell is inside those capsules but some nasty staff is added. No espresso coffe made wirh a tipical commercial espresso machine make that amount of foam. I drink espresso coffe all my life and never had problems; only with this new cartridges I get health problems! Same body better go deeper and investigate how we get silently poisoned. I buy the coffee in grains and grind it myself so i know there's no foaming agents and yet it has a ton of cream. Foaming agents of some type obviously were included in the coffee sachets first appearing on supermarket shelves several years ago and one would wonder if the coffee pods are just a reinvented method to appeal to the coffee consumer and boost up the sale of coffee product. But this time round aluminium being perforated by 28 holes is an issue as well as the ongoing foamer. How is it that no health authority comments have been made on the safety to humans firstly with the sachets and now the coffee pods. Yes I have tried a coffee pod latte, aerated froth not a bit like a real latte not enjoyable at all. Aluminium causes the same symptoms like Alzheimer disease! The body can not handle Aluminium! The capsules have a food-grade shellac coating inside... But: Puting the cacsule into the machine makes 28 holes into the Aluminium capsule. scientific expertise makes sure today, that Aluminium is a major problem if accumulated in our body! And in our brain. How can nespresso take the responsibility for that??? Exactly, the foam or crema creation is a little suspicious as this is what dictates whether the product is a success or not.normally this is created by pushing high pressure water thru the coffee grounds, in Nesprsso's case it produces large amounts of foam that doesn't have the right texture or taste.I wonder if the same foaming agents used in toothpaste and shampoo is used in this coffee product. Something has been added to Nespresso to change the surface tension to over foam to mimic classic CREMA. So we got an answer about plastics! What about the chemicals in the capsules, particularly "the creation of foam"?